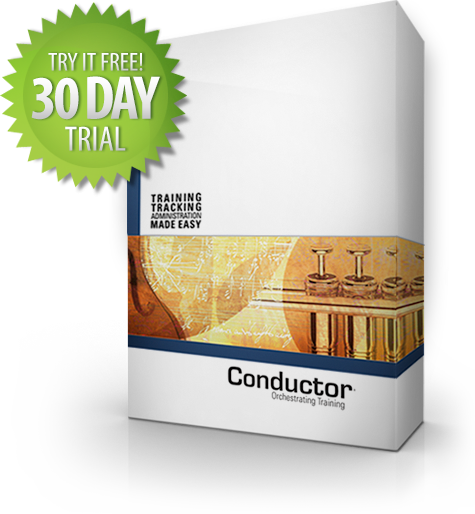 Manage Employee Education, Training, Licensure and More with Training Tracking Software. Properly educated employees are a requirement of numerous OSHA regulations, and training plays an integral role in regulatory compliance. Assign, organize and track every aspect of an employee training program with Conductor®, an affordable, easy-to-use software package for small businesses, large organizations, municipalities and hospitals. Conductor® features an intuitive, user-friendly interface that takes the hassle out of managing and tracking employee training information. Our software combines Employee Tracking, Curriculum Development, Curriculum Design, Training Scheduling, Training Tracking, Training Registration and Reporting.